Dubai: This rainy season, Dubai residents can report waterlogging and fallen trees on the roads through a new mobile app. 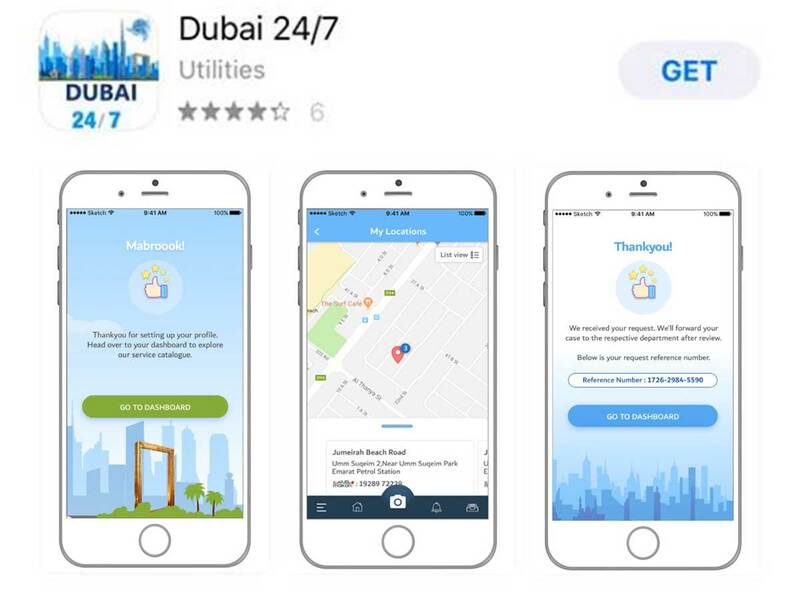 Through the app named ‘Dubai 24/7’, residents can also report all other major civic complaints, from noisy construction sites and poor hygiene in restaurants to violations by pet owners and overcrowding in villas. Instead of calling Dubai Municipality’s customer care centre on 800900 to give details, the residents can now notify civic violations and seek various services from the municipality round-the-clock through the app. Users need to log into the app using an email and phone number to report complaints and also apply for some services. They can share pictures, or speak or write to submit a report to Dubai Municipality through the app. The notification can attach the users’ location by capturing the Makani number. Users can also drag the map to another location where they wish to report a violation or seek a service. There are options to provide additional description for notifications while a maximum of three images can be uploaded. However, the terms and conditions of ‘Dubai 24/7’ stipulate that the app can be used only for lawful purposes. Discriminatory, libellous, harassing, defamatory, obscene, pornographic or otherwise unlawful content is prohibited. The services catalogue lists out various services offered by eight major wings of Dubai Municipality — building and construction, health and safety, food safety, waste management, drainage and sewage, environment, pest control and pets and animals. A time frame for the resolution of the reported issues (from two to four days in most cases) and the name of the department responsible for that are provided for each service sought through the app. So, if you happen to see a damaged manhole cover, if there is bad smell from a sewerage line or water leakage on a main road, you know how to report it now. Residents can also use the app to notify lack of hygiene in buildings and bad air quality or ventilation issues. They can also apply for services of the Waste Management Department and veterinary section.